Good. Size: 24.4 x 19.2 x 2.3 cm; Second Edition, condition good. Isbn 0-534-16320-3, 0534163203. 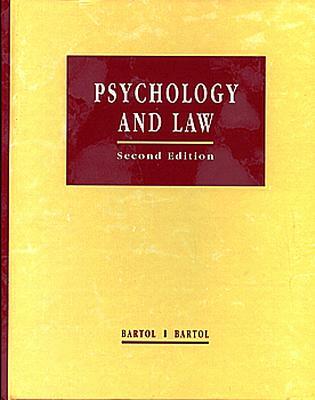 This text aims to help students understand the underlying philosophies of law and psychology and the different relationships between them. Readers are first introduced to psychological literature and then shown its application to a wide variety of legal situations. The authors offer basic information about the court process (civil and criminal) and discuss psychology as it is applied to police work, jury dynamics, civil commitment, and treatment in the correctional system. Psychological tools, such as hypnosis, voice prints, anatomically correct dolls, and lie detectors are also discussed. Designed for upper division or graduate level students, this book should be useful for courses in psychology of law or courses on criminal justice and human behaviour.